New York-based celebrity chefs Carla Hall and Josh Capon turned up the heat in Times Square and went head-to-head for part three of "GMA's" Grill Master Challenge. Executive chef and owner of El Toro Blanco dished up his guajillo chile marinated steak tacos against Hall's Buffalo chicken burger. After putting their packed with flavor food to the test, the judges made their decision and announced Chef Capon as the "GMA" Grill Master. Check out the full recipes below, because to be honest, they're both winners. 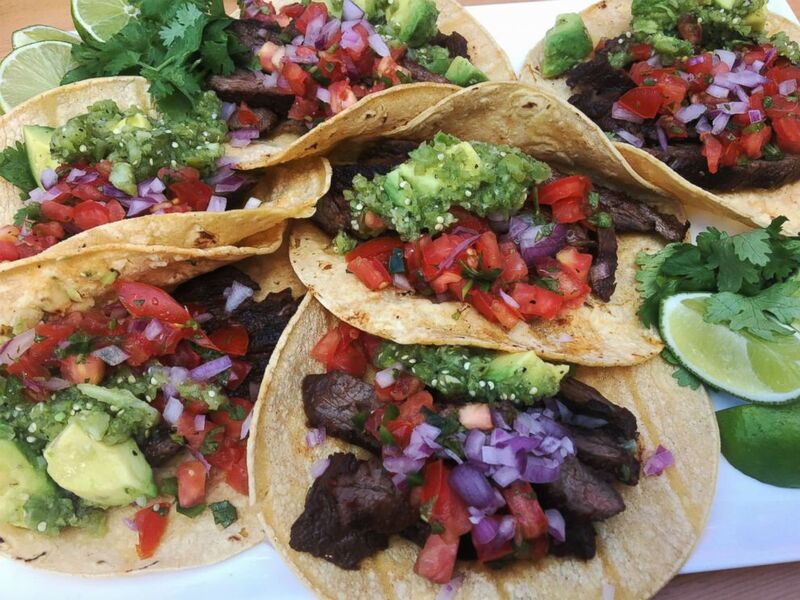 Chef Josh Capon's marinated skirt steak tacos with fresh tomatillo salsa. Boil both chilies for five minutes, then cool and remove seeds and stems. Toast black pepper and cloves in a dry pan, then blend to powder. Add all remaining ingredients except oil and blend until smooth. Whisk in oil, then marinade beef lightly. Marinate skirt steak for a few hours or overnight in the fridge. Grill over high heat until cooked through. Let meat rest before slicing. Warm the corn tortillas and add a few slices of steak. Add some of the tomatillo salsa with the avocado folded in, a little Pico de Gallo and a squeeze of fresh lime. 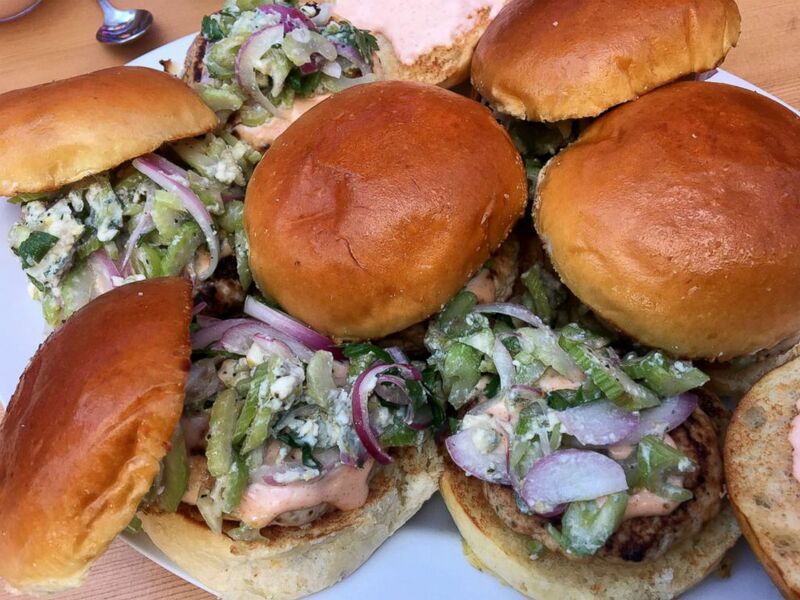 Chef Carla Hall's Buffalo-style burger with celery and blue cheese slaw. Melt butter in small skillet on medium-low heat. Cook onions and garlic until translucent and sweet, about three minutes. Add hot sauce, thyme, black pepper, and chile flakes. Fold onion mixture into ground chicken. Gently form 4 patties. Combine ingredients in the order they appear. Place on burger or use as a side. Mix all of the ingredients together. Spread on burger bun.